Heather was born in Woodsville, NH, on April 8th 1975 to Ruth and Dean Hatch and from the beginning was raised around antiques. This would later on fuel her passion for shopping and antiques. She was the youngest of three siblings, two sisters Dawn and Karen. Growing up she enjoyed spending time with her family, going to school, and having friends. She also went moose watching with her father and played board games with friends and family. Later on, she moved to Tennessee and met Brian at a karaoke bar called Larry’s in July, 2002 and it was love at first sight. Brian proposed to Heather a week after meeting her and they were married by October 19th, 2002, their wedding song was ‘Amazed’ by Lonestar. As they enjoyed their married life, they decided they wanted to grow their family and on September 26th, 2003, they welcome Jacob into the world. Four years later, their family grew again and they welcome Joshua into the world on May 24th, 2007. Heather enjoyed spending time at home with her boys and going on vacation to places such as Old Orchard Beach in Maine, as she loved being by the water, and Gatlinburg, TN. Heather was influenced by many people such as her Pastor, David Jenkins, her mother, her husband and Rachel Ray. Watching Rachel Ray helped her to cook and try different recipes. Life threw an unsuspecting curve ball to Heather on May 29th, 2010 as Heather was diagnosed with APL leukemia. Heather fought through and she was cured on April, 2013. Unfortunately, on November, 4th, 2014, Heather was diagnosed a second time with AML Leukemia and had to fight again. Heather miraculously received a stem cell transplant on April 23, 2015 and after praying for a miracle was cured of cancer again. 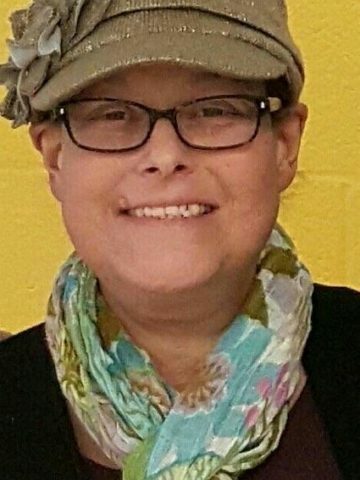 Shortly after the stem cell transplant, she developed graft versus host disease and Heather had to fight again and won the battle and she survived from this diagnosis until the Lord called her home on October, 10, 2016. Heather was able to see several goals be accomplished, including having children, purchasing their own home in July of 2016, and seeing her husband ordained. Some of the traditions that were important to Heather were celebrating Christmas with her family such as being able to open up one gift together on Christmas Eve. Heather had a talent for decorating and redecorating her home, she was very good at finding bargains through yard sales and shopping, including teaching her husband on how to bargain shop. Heather loved to eat shepherd’s pie as a favorite food and could always be seen drinking either flavored water or Dr. Pepper. Heather loved her nieces and nephews, along with all babies in general. Heather would want everyone to know what was most important to her was her faith in Jesus Christ, her husband, for his support and strength, and her boys. I am so sorry for your loss. I wish I could be there at this time, but all of you will be in my thoughts & prayers. I have fond memories of you when you lived here in Vermont. Sending my deepest sympathy in the loss of your wonderful daughter, sister,, wife and mother. As she lives on with Jesus and you live on with Him, your Heather will not be far away. Sending my love and my prayers from Vermont. So very sorry to hear of Heather’s passing. Our thoughts, love and prayers are with you all now – and always. Heather was such a spitfire and we shared so many good times at Lois’s and Nascar Café and just sharing Nashville life……..She loved life and always had a story and a giggle. Cherish the memories and know that she is with you always. We love you all so much. Thoughts and prayers for all of you. Beautiful tribute to Heather! Sorry for your loss Brian. Prayers for all.